The London Marathon, and one of the participants is the American Ambassador, determined this time to break 3 hr 30 and establish a new personal best. Beside him, two sweating minders. Close behind them, an Indian suicide bomber named Pradeep, forced into it by an Al Qaeda related terrorist group who will kill his son if he fails. And to make quite sure, the bomb is set to self-detonate if he stops running. Also, of course, there is a remote control, and Plan A, we discover, is to detonate the bomb on Tower Bridge, taking out along with Pradeep and the Ambassador and his baby-sitters, thousands of other people and at least part of the great symbolic landmark. I like that the suicide bomber has been coerced into it. Most, virtually all, of them are (I know) and the devices detonated by a handler using a remote control; which is murder, not suicide. But this is not the place to go into that. Close behind Pradeep, quite by chance (but never believe in coincidences, especially in a spy story) are Daniel Marchant (with a hangover and wondering what the hell he is doing there) and his girlfriend, Leila, an MI6 operative. Actually, Daniel is MI6, too, but he has been suspended from duty because the competition (MI5 and the Americans) believe that his father betrayed his country and that Daniel may also be incriminated. MI6 as it is now, forty, fifty years on from George Smiley and The Spy Who Came In From The Cold and The Honourable Schoolboy and all that. Actually, nothing much has changed except that now it is AQ and the Terrorists instead of KGB and the Communists, and the Circus is known as Legoland (which is better, the connotations are more appropriate). 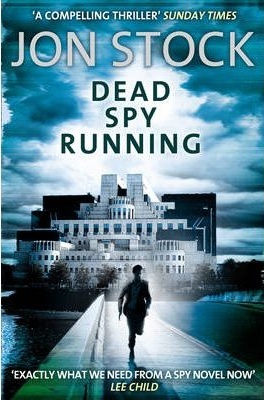 Marcus Fielding, head of MI6 and known as “the Vicar”, has been compared in reviews to Smiley, but he lacks Smiley’s backstory. Smiley first appeared, if I remember rightly (my grandmother had all the books and I lapped them up in my teens) in a simple detective story, A Murder of Quality, set in a minor public school, and from that the character grew and grew, and reached such proportions that if he was simply somewhere hovering in the background and played no real part in the story that was enough to make the book an immediate best-seller and compulsive reading. Fielding, though, is already an elderly man at the top of his profession. Where can he go from there? He lacks any real backstory and will obviously never be the protagonist as Smiley so often was. Daniel Marchant, on the other hand, has been compared to Jason Bourne. Apart from the fact that he spends most of the book on the run, the two seem to me to have little in common. And being on the run from the CIA is now stereotypical. No doubt Jason Bourne does form part of the latest composite stereotype. But Marchant has features in common with James Bond (the toughness, the boozing, the womanising, the independent thinking and non-compliance with orders) and also with various le Carré characters such as The Honourable Schoolboy (the public-school rebel-without-a-cause trait, the at-home-anywhere-in-the-world trait, the sensitivity, the conscience). Apropos, Bourne’s boss is known as the Monk, Marchant’s as the Vicar. But enough of the petty griping. That is the genre, and I love it. And this is, probably, the best of the le Carré sub-genre since le Carré – and by that I mean, of course, since Smiley. There is a new Damiel Marchant book out – Games Traitors Play – but I am waiting for the paperback. In fact, I am tempted to buy the hardback. There can be no greater accolade than that!